Sundance Media Group will be supporting our partner FoxFury at ShotShow 2019 – be sure to drop by the booth and say hello! 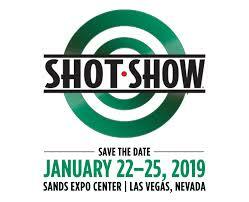 PLEASE NOTE: Admission at the SHOT Show is RESTRICTED to the shooting, hunting and outdoor trade and commercial buyers and sellers of military, law enforcement and tactical products and services ONLY. The show is not open to the public, and NO one under age 16 shall be admitted (including infants).